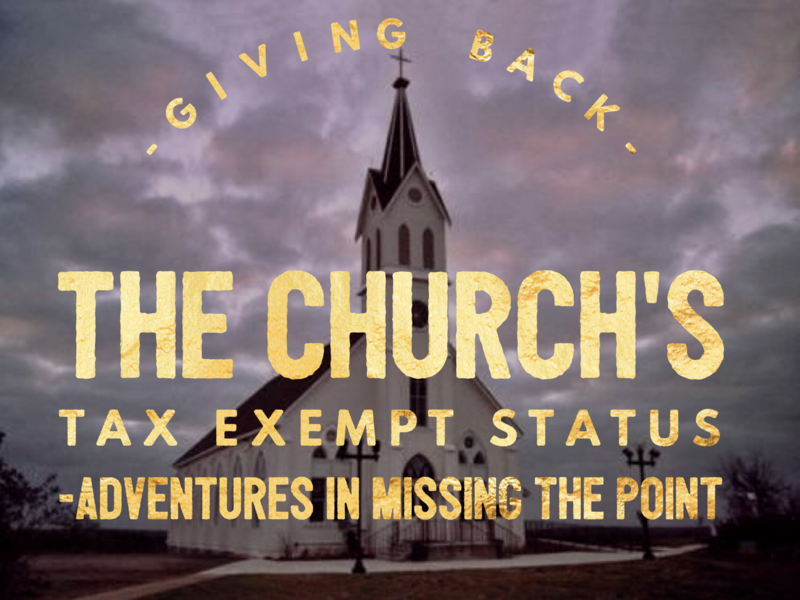 Should Churches Give Up Their Tax Exemption? Childhood food security. Education and literacy. Basic health care. that these issues are among the highest priorities in our society today. of these significant twenty-first-century societal wounds? faith): healing, feeding and teaching. the largest voluntary acts of generosity in human history. communities, across regions and across race, class and culture. what is God’s” (Matthew 22:21). they have received millions of dollars? 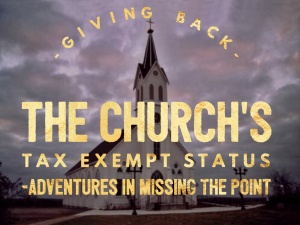 in tax exemptions every year. both today and in the unpredictable future? must be when she is funded by the government through tax exemptions? the teat of the Fatherland? and participation in their spiritual communities and neighborhoods. That doesn’t sound all bad.